The Rainier Bouquet features beautiful, fresh-picked floral stems complimented by lush foliage.The bouquet will arrive loosely arranged in our natural, whimsical style and wrapped in brown paper. They are ready to place directly in a vase, or you can use your own creativity to rearrange the flowers just how you would like them. The Rainier Bouquet would look lovely sitting on your kitchen counter or bedside table. 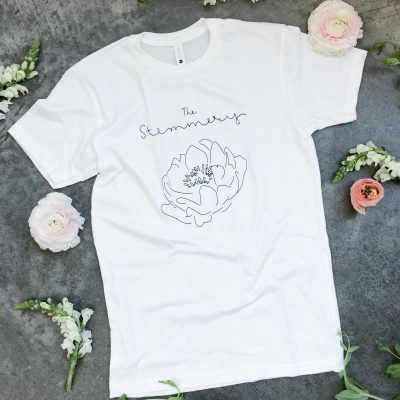 At this time, The Stemmery delivers to your home or office in Seattle, Bellevue and Kirkland. If you or your gift recipient are outside of these city limits and would love us to bring delight to your doorstep, feel free to drop us a note and we’ll let you know as we expand in the future. Please provide us with the name, address, email address and phone number of your gift recipient. We will not contact them prior to their first scheduled delivery, but once their subscription begins would like to be able to let them know about delivery details, options for rescheduling a delivery if they need to and contact them if there is ever an issue with delivery. Please also provide us with the date (must be a Tuesday or Friday) you would like the first delivery to occur. 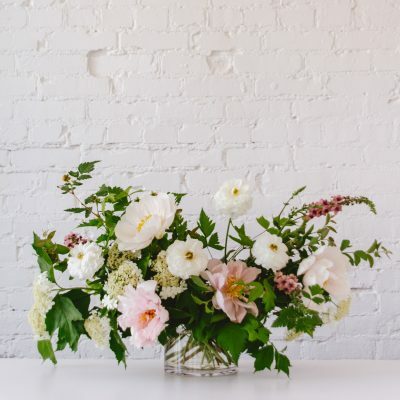 Once the first delivery is made, if you would like, we can contact your gift recipient about their preferred schedule to continue receiving their flowers. Only one subscription or arrangement can be processed per order due to needing to obtain separate shipping addresses, etc. If you would like to purchase more than one, please complete separate checkouts. When purchasing a gift subscription, the delivery costs are all included in your total purchase price, so you can select “Free Shipping” at checkout to avoid additional delivery costs. Your total based on the delivery frequency and duration you select includes the cost of bouquets + delivery. 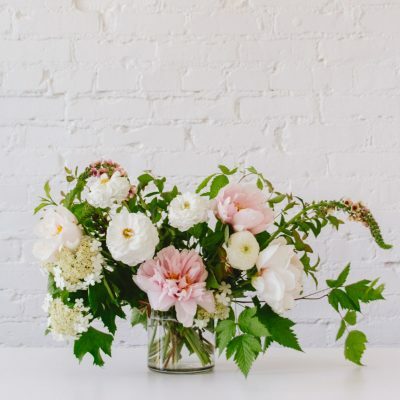 The Rainier Bouquet gift flower subscription features beautiful, fresh-picked floral stems complimented by lush foliage.The bouquet will arrive loosely arranged in our natural, whimsical style and wrapped in brown paper. They are ready to place directly in a vase, or you can use your own creativity to rearrange the flowers just how you would like them. 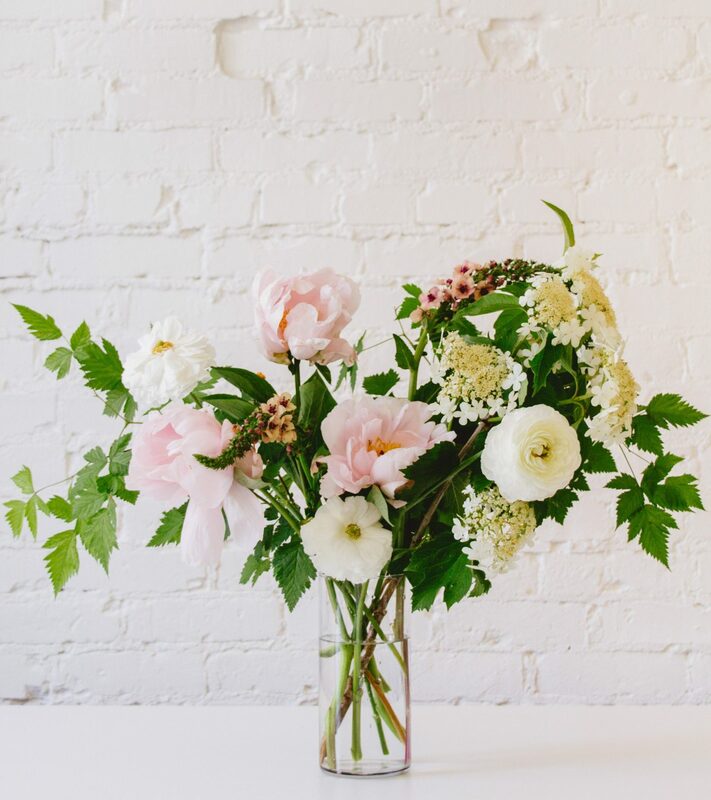 The Rainier Bouquet would look lovely sitting on your kitchen counter or bedside table.